Like the trucking industry, the port authorities and Class I railroads believe the Tax Cuts and Jobs Act will benefit their modes of transportation, according to associations that represent them. Through 2022, companies can immediately depreciate the full cost of new or used equipment. Previously, a company could only depreciate 50% of the value in the first year, then deduct the rest over multiple years. For asset-heavy companies such as railroads and trucking companies, the provision could lower their tax liabilities and encourage capital expenditures on tractors, locomotives and other railcars. Since all of the major Class I railroads are C corporations, their federal income tax rates were lowered to 21%. Prior to the Tax Cuts and Jobs Act, Class I railroads paid on average a 33.5% effective federal tax rate, which climbed to about 36% to 37% when state taxes were included, according to data from New York University and the American Association of Railroads. NYU reported that trucking companies paid about 37.3%. Port authorities and marine terminal operators scored a win on private activity bonds, a funding mechanism used to pay for infrastructure and other capital projects. Private activity bonds are also used by private universities, hospitals, nursing homes, museums and for low-income housing. Some lawmakers wanted to strip the tax-exempt status of these bonds, citing abuse in the system. But trade associations, including the AAPA, lobbied against the proposal and lawmakers eventually preserved the tax-exempt status. The Port of Long Beach has $823 million of outstanding long-term debt, about $394 million of which is in private activity bonds. The Port Authority of New York and New Jersey issued more than $5.1 billion in outstanding bonds to fund infrastructure at its airports and seaport facilities, according to the AAPA. Lawmakers eliminated tax-exempt advance refunding of municipal bonds, despite AAPA efforts to keep them. Advance refunding refers to situations when a government issues lower interest rate bonds and uses the money to redeem outstanding bonds with a higher interest rate. 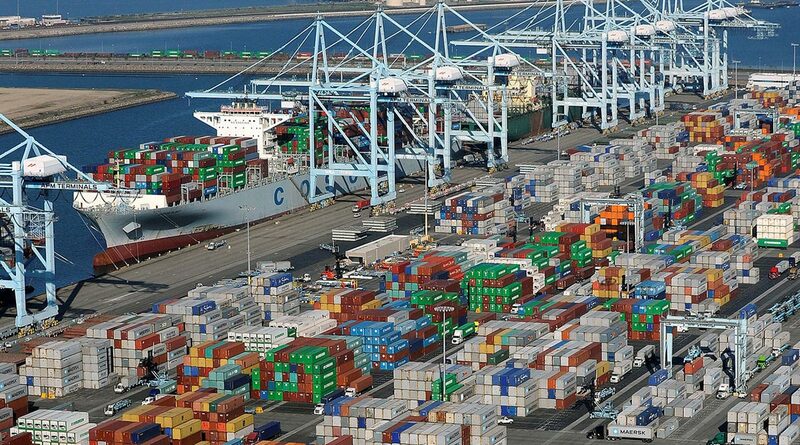 Eliminating the advance refunding provision will cost the Port of Los Angeles about $3.5 million over five years and $28.17 million over 30 years, according to the AAPA. The Port of Virginia planned to use advance refunding to refinance $57 million in debt, which would have saved the port authority about $9 million.